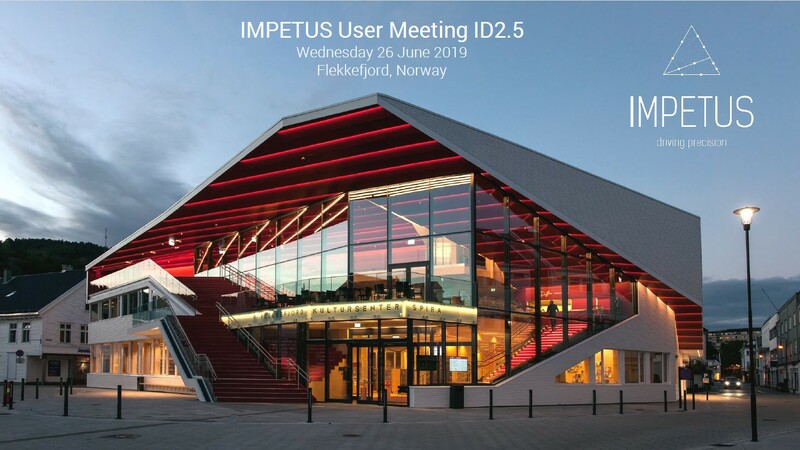 The International IMPETUS User Conference 2019 is going to be held in beautiful Flekkefjord, Norway the 26th of June. The agenda contains presentations from the IMPETUS staff on new features which includes GUI templates, object libraries and materials used in terminal ballistics. The presenters will share their work in fragmentation, mine blast, structural capacity, prediction of deformation modes, etc. This is a great opportunity to network with other IMPETUS Users and learn how they have successfully applied the software to their area of interest! CertaSIM, LLC is attending the upcoming “Frontiers in Medical Devices Conference: The Role of Digital Evidence to Support Personalized Patient Healthcare” conference co-sponsored by the Biomedical Engineering Society (BMES) and the US Food and Drug Administration (FDA), going to be held in University of Maryland, Washington DC from March 19th-21st. The technical tracks of the conference will focus on topics related to the increased role of “simulation” as evidence for healthcare. CertaSIM LLC, partnered with Csimsoft, is once again the silver sponsor with the exhibitor booth. Csimsoft is a leading developer of simulation tools for generating high-quality precision meshes for computational fluid dynamics and finite element analysis. The NVIDIA “GTC 2019 – The Premier AI Conference” is going to be held at the San Jose Convention Center from March 17th–21st. CertaSIM, LLC is attending the conference and participating in the technical session for the 8th consecutive year. CertaSIM, LLC is presenting a paper entitled “Modeling Fluid Structure Interaction with Multi-GPU Enabled Software”. We'll talk about the benefits of GPU technology for modeling fluid-structure interaction problems. We will compare single-GPU and multi-GPU processing for a water-impact scenario, using the particle based nonlinear explicit-transient dynamic SPH solver, to show the robust nature of GPU computing. GPU technology is at the essence of the IMPETUS Afea Solver® massively parallel processing capabilities. 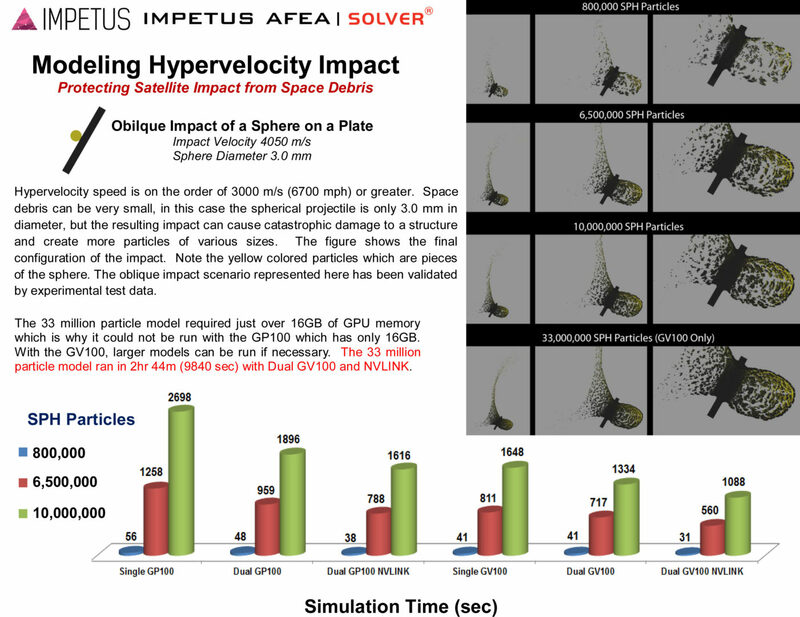 CertaSIM, LLC will be participating in the forthcoming 15th Hypervelocity Impact Symposium (HVIS), to be held from April 14th-19th, 2019 in Destin, Florida, USA. The HVIS Symposia has a long-standing international reputation as a catalyst for stimulating research in this area through a wealth of presentations and commercial exhibits. IMPETUS Afea SAS will be presenting a paper titled “An Accurate SPH Scheme for Hypervelocity Impact Modeling”, based on a new and more accurate SPH solver. CertaSIM, LLC will have a booth showcasing the capabilities of the IMPETUS Afea Solver®. 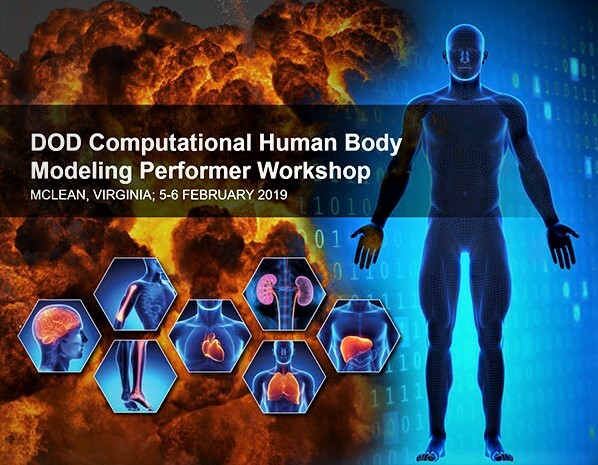 CertaSIM, LLC was represented at the “DoD Working Group on Computational Modeling of Human Lethality, Injury, and Impairment from Blast-related Threats” in Virginia, 05-06 February 2019. There were a little under 100 attendees discussing different aspects of modeling these applications. The two days workshop had many interesting presentations, one of them given by Professor Milan Toma, NYIT, about modeling the Human Brain with Fluid-Structure Interaction in the IMPETUS Afea Solver®. The workshop was a great success and CertaSIM, LLC obtained new valuable knowledge and expanded our network in this field. Thanks goes to DoD Blast Injury Research Program Coordinating Office, Fort Detrick and MITRE Corporation for hosting the event. The NVIDIA GTC2018 Conference was held March 26-29th at the San Jose Convention Center. This is the 7th year that CertaSIM attended the conference and participated in the technical session. Dr. Mindle, CertaSIM’s Director of Sales & Marketing presented a paper entitled “Multi GPU Parallel Processing with NVLINK”. The presentation is available from CertaSIM and NVIDIA also records the audio from the presentation and makes it available to hear online. GPU technology is at the heart of the IMPETUS Afea Solver® massively parallel processing capabilities and so keeping up with the current GPU hardware is a must for CertaSIM. The 10th Ground Vehicle Systems Engineering And Technology Symposium (GVSETS) was held August 7-9, 2018 at the Suburban Collection Showplace in Novi Michigan. The conference included participants from DoD, TACOM, Research, Development and Engineering Command (RDECOM), Program Executive Offices (PEOs) for the Army and the Marine Corps for ground vehicles as well as leaders from industry and academia. The trade show has grown considerably over the last 4 years and provides a great venue to meet many of the companies that work with the US Army with regard to ground vehicle development. The overriding tone of the conference is the mission to design and build vehicles to better protect the “Warfighter”. One of the highlights of the non-technical sessions is the panel of warfighters which brings together combat experienced warfighters to discuss the pluses and minus of the current technology and what they need to better carry out their mission. 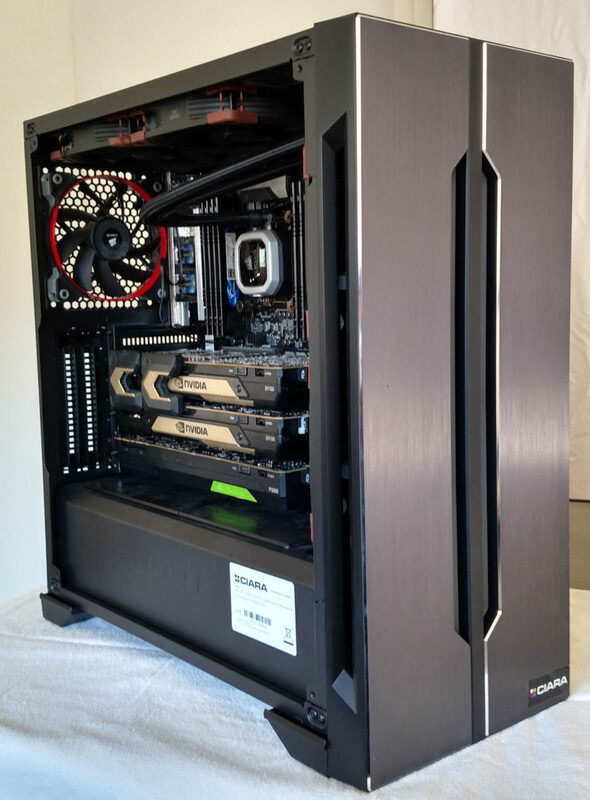 Ciara Technologies are experts in building overclocked professional workstations. They recently released the KRONOS 840-G4 which includes the latest Intel i9 Processors. The i9 processors provide larger core count, up to 18 cores and the Ciara machines provide machines that run up to 4.6 GHz for all processors all the time, where the base clock speed is 3.3 GHz. The Intel Turbo boost only operates for short durations to maximize performance and it only applies to a limited amount of the cores which means if your application uses too many cores the system defaults back to the base clock speed. Overclocking is quite different, all cores run at the higher frequency all the time which also includes overclocking the memory as well. The KRONOS workstations also include the latest liquid cooling technology for the CPU that insures a reliable system. The combination of GPU Technology for massively parallel processing and high performance CPU processing results in a workstation that rivals cluster based solutions. CertaSIM presented benchmark results at GTC2018 for a Hypervelocity Impact Scenario to compare performance of the GV100 with the GP100. The models were run with the IMPETUS Afea γSPH Solver which is a full continuum particle model that takes full advantage of GPU Technology. There were 4 resolution models tested, an 800K particle model, 6.5 million particle model, 10 million particle model and 33 million particle model. 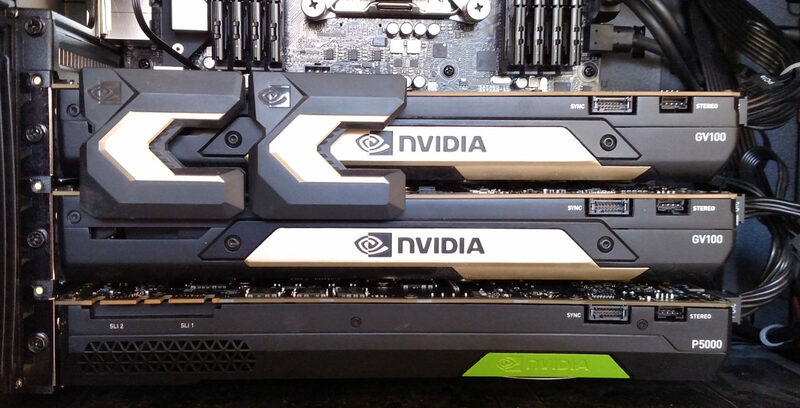 The GP100 and GV100 are NVLINK capable which means the communication between 2 GPUs is a direct connection that bypasses the CPU to improve performance. The benchmark tests consisted of single GPU, dual GPU and dual GPU with NVLINK. To compare with a cluster based solution, a similar 800K model took a whopping 20min on a 36 core cluster. Certainly no match for GPU massively parallel processing.